Should Pharmacies Join the Tech Trend? As new technology is transforming every type of business across the globe, debate has turned to whether pharmacies should go technical. The topic is trending after the announcement, in January 2019, that pharmacy chain Boots had acquired the health technology company, Wiggly-Amps. Over the past decade, new technology has advanced at an astounding rate in the retail industry as a whole. According to surveys, the innovations are paying dividends by improving sales and customer satisfaction. Among the most commonplace digital advances in retail are real-time inventory management, display technologies and analytical insights. The use of technology is optimising store operations and improving the overall in-store shopping experience. Real-time inventory management is responsible for an 11% increase in sales, according to the latest statistics. This is the process of recording sales and purchases instantly via software so that the company can gain a complete picture right away of what’s happening with the inventory. This means the retailer can react quickly to supply chain needs – and won’t end up in a situation where a product has suddenly gone out of stock, leading to customers shopping elsewhere, rather than waiting for another delivery. Digital signage has been credited with a 20% increase in sales and a 35% improvement in customer satisfaction, while digital menu boards have resulted in a 7% reduction in operating costs, as a result of printed boards being eliminated and a decrease in personnel expenses. Self-service kiosks have proved very popular, providing an in-store way for customers to make payments online. They reduce the amount of time customers have to queue and provide a convenient method of payment for many consumers. A survey published by Kiosk Marketplace revealed only one-third of customers now used only cash, so self-service kiosks were tapping into a big portion of the market. They have resulted in a 10% increase in sales and 95% of customers have said they will use the service again. The question of whether pharmacies should join the trend is one that’s up for debate. Undoubtedly, tech has helped to transform pharmacies in recent years. The acquisition of Wiggly-Amps by Boots is testament to the fact that pharmacies are bang up-to-date with the latest technology to create an improved customer experience. Wiggly-Amps provides online services such as check-in screens at GPs’ surgeries, consultation and prescription services, weight measurements and the creation and management of GPs’ websites. Boots will operate the company as a separate entity to its main trading arm, under the new name, Engage Health Systems. The seamless transition means there will be no changes for customers currently using Wiggly-Amps’ products. The new acquisition will mean that Boots can now access patients’ GP records so that prescriptions can be ordered online. This is aimed at enabling customers to manage their healthcare needs in a simple, fast and easily-accessible way. Boots has pledged to make the best use of the software in connecting directly with customers to fulfil their needs simply and quickly. In addition to the prescription-ordering and other online services, the company will also run a “panic button” service (known as Little Green Button), so that in the event of a medical emergency, doctors and staff can act quickly, and liaise and alert each other. While the onset of pharmacy technology has generally been positively received, as it’s seen to be improving the services available for patients and customers, analysts say pockets of resistance are inevitable in some sectors of the community. Even smaller pharmacies today have embraced technology, such as the electronic ordering of repeat prescriptions, for example, eliminating the need for patients having to physically go to the GP’s surgery, collect a prescription and take it into the pharmacy. New health information technology now enables prescribers to send prescriptions directly to the pharmacy from the point of care. All pharmacies, whatever their size, are using an electronic management system for dispensing, labelling, medication records and stock control, but some pharmacies aren’t taking advantage of the full range of services – in particular, the take-up of patient-centred services has been slow, such as medication reviews. While the technology trends could give smaller pharmacies the opportunity to compete with their bigger counterparts, ironically it’s the customers’ reluctance to embrace the technology that’s making it slow to take off in some areas. According to research, elderly patients are most resistant to change. In the UK, young elderly people are classed as being from 60 to 74 years old, elderly people are between 75 and 84 and those people aged 85 and older are classed as being very elderly. It is estimated that by 2050, 42% of people in the UK will be more than 65 years old as people live longer. Around three-quarters of people aged over 75 have at least one long-term health condition. Most elderly people are taking multiple medications – yet this is a generation of patients that hasn’t been brought up in a digital age. There weren’t even computers when they were at school and for many of them, the internet and online transactions are a complete source of mystery. While many GPs’ surgeries today have an online booking system so patients can create a personal account and log in to make an appointment, unless people who aren’t internet-savvy have someone to help them, this is a service they will never use. Despite older people’s resistance to change, however, according to research, those who received help in using electronic services from GPs, other healthcare staff or family members have begun to embrace the new technology. A survey of elderly patients carried out in Pittsburgh in the United States concluded that 81% of them now preferred e-prescriptions, with 84% of them being “very satisfied” with the way their pharmacist dealt with their medication. Regardless of the views of some customers, the new range of systems and technology available to support pharmacies and the supply of medicines are here to stay. It’s important that pharmacists harness the technologies in a way that supports their own professional aspirations, so that customers don’t feel alienated by technology that they don’t understand. What are your opinions on the services that pharmacies offer? 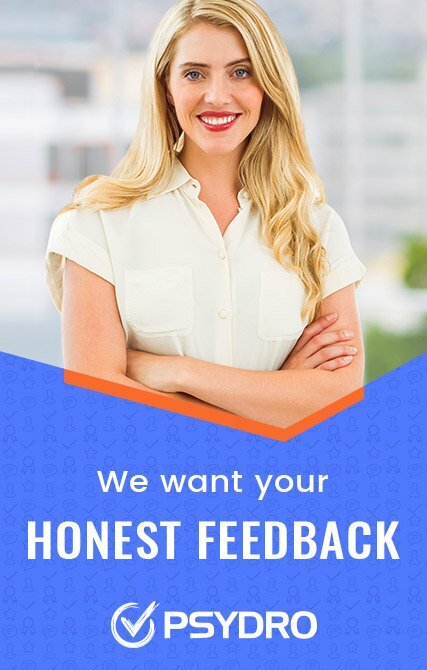 Leave a review of your pharmacy on Psydro’s unique consumer reviews platform and let other people know whether technology is enhancing the services that you’re receiving. 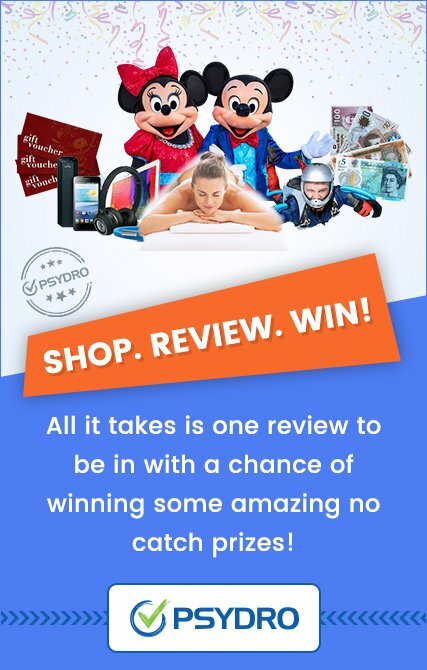 When you leave a review, you can enter our fabulous competition – giving you the chance of winning one of 50 Love2Shop vouchers!